Hello again world!! After a blurry, delirious and ridiculously fast summer I woke up this morning realizing…. my last big wedding of 2010 was last night!! And all I need to do now is catch up on allllllll of the things I have procrastinated over the summer. Number 1 on my list …. my BLOG!! Blogging is my FAVORITE thing to do – because of YOU! I love sharing funny experiences, pretty photos, silly stories and everything that makes me smile – with you!! So get ready blog friends, I’m BACK! There is NO way to even start in order, so I’m going to blog about something I am SOOOOOOOOOOOOOOOOOOOOOOOOOO excited about!! Something I wanted to be a part of since the begining!! 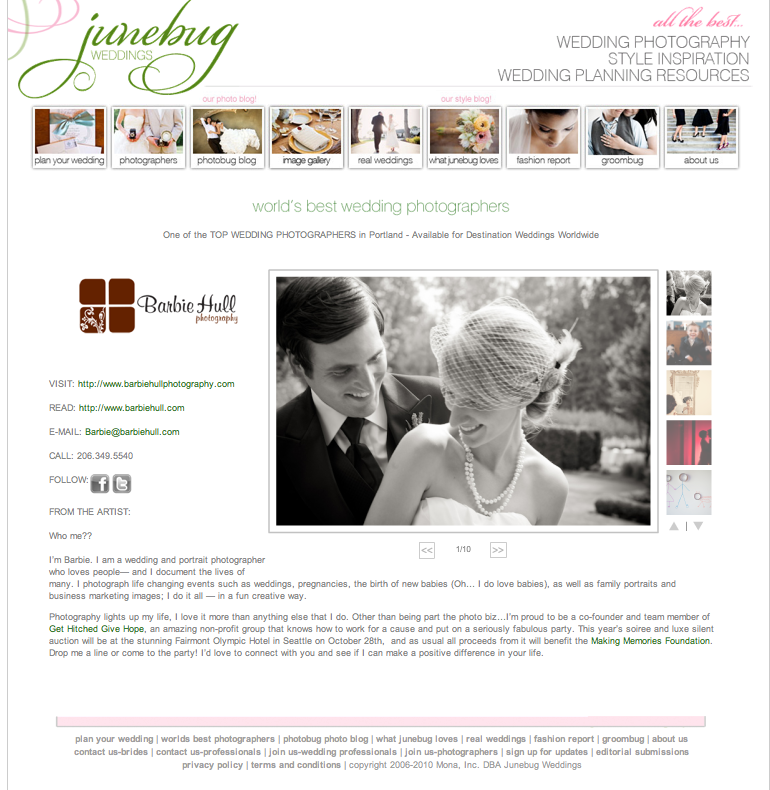 For those of you who aren’t in this crazy wedding world :: Junebug Weddings is just the MOST exclusive, glamorous and exciting of websites out there for couples planning their wedding! They can get ideas, find their vendors and just be inspired!